If you hate the feeling of sweaty, soggy running clothes, The North Face Reaxion Amp Crew is a much more comfortable choice. Made with VaporWick fabric, the Reaxion Crew wicks moisture quickly and efficiently, providing a drier, more comfortable feeling. The back is slightly longer on this shirt to give you more coverage during squats or stretching exercises. "Do these shirts come in large?" "Yes, these shirts do come in a Large but at the moment we are sold out in that size. 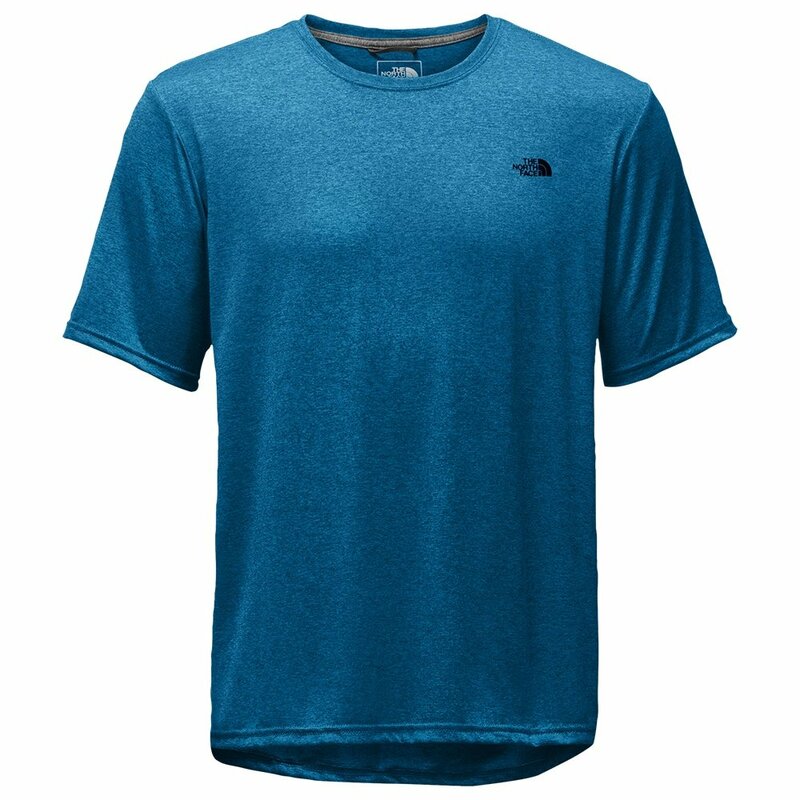 We would recommend taking a look at The North Face HyperLayer FD Short Sleeve Crew Shirt this shirt has similar features which is made from Polyester and has moisture wicking fabrics like the Reaxion Amp Crew Running Shirt. We hope this information helps! "